We’d love your help. 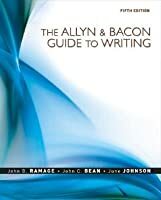 Let us know what’s wrong with this preview of The Allyn & Bacon Guide To Writing, Custom Edition For University Of Cincinnati by John D. Ramage. 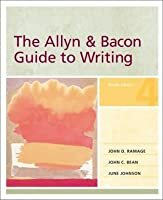 To ask other readers questions about The Allyn & Bacon Guide To Writing, Custom Edition For University Of Cincinnati, please sign up. 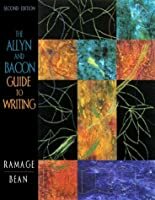 It's a book about writing essays. It's boring and long. That being said, it lays out in very good detail important steps and strategies. That being said, it bores the snot out of most people before they can finish it. It's a helpful teaching aid, however, and as long as you're not just having people read it they'll enjoy it. 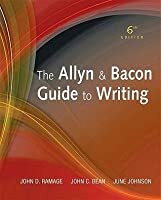 Though this text is much too comprehensive, in-depth, expensive and bulky to use in the classroom, it is absolutely chockfull of wonderful exercises, explanations and guidelines for literary reading and writing, critical thinking and essay composition. Anyone who's teaching reading and writing, this is an essential for your library and curriculum! Great book I use in my classroom. Helpful with specific types of wrting structure. This is one of the classics that should be on any writer/educator's bookshelves. I don't know what happened to my first copy so I was thrilled to find a new one.